This application note was designed to use the Arduino Uno and the Pmod SSD as a counter that increments every second. Fritzing file displaying the connection of the Pmod SSD to the Arduino Uno. 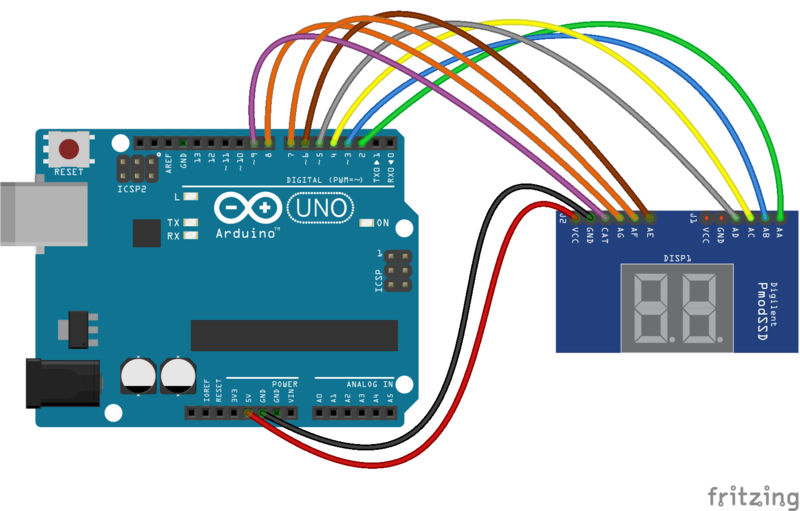 Fritzing image displaying the connection between the Pmod SSD and Arduino Uno. Using this code will turn the Pmod SSD into a counter that increments every second. * A counter increments every second.